This Smith & Wesson folder features a black G-10 handle and a tanto style blade with a satin finish. 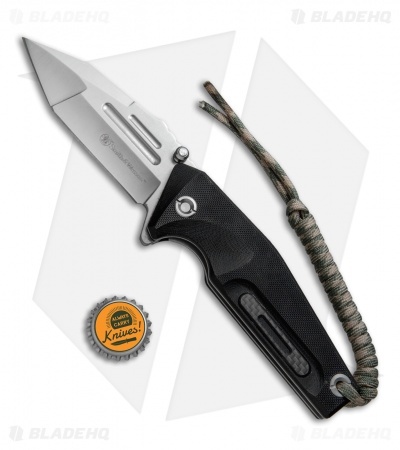 With a heavy duty build and a tactical design, this liner lock folding knife is durable enough for any cutting task. Textured G-10 handle scales provide a secure grip and rest over a sturdy stainless steel liner lock frame. 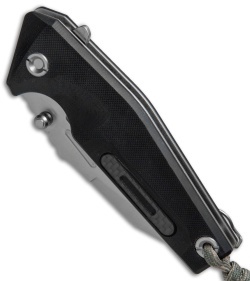 A carbon fiber inlay adds an impressive touch to the handle design. 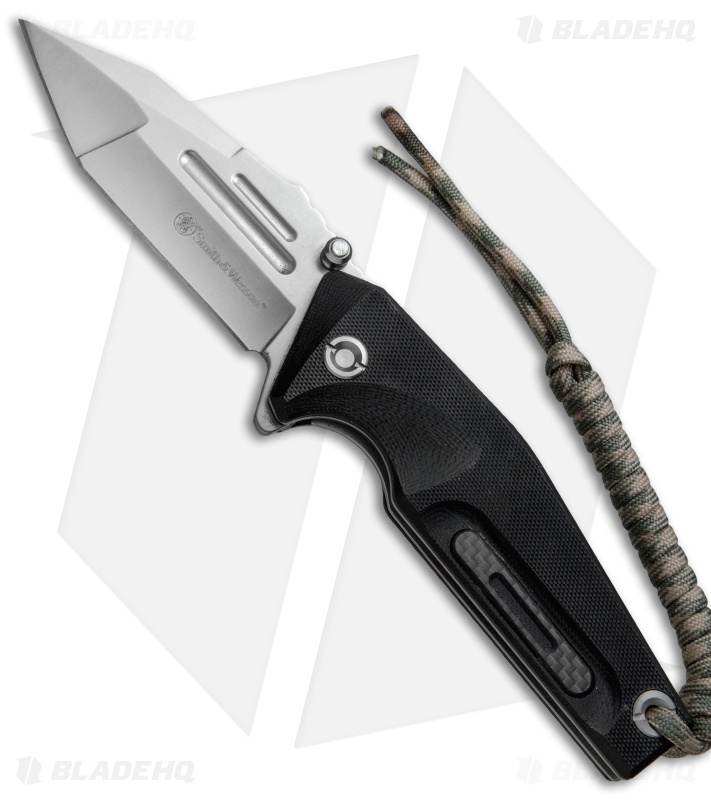 The blade is made from 8Cr13MoV steel with a plain edge and a satin finish. 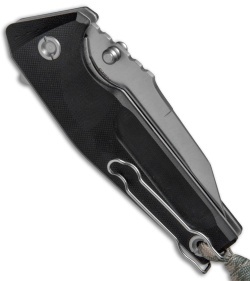 A stainless steel wire clip and a lanyard cord finish off the highly functional design.